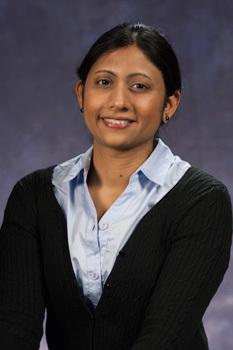 Dr. Mani is an Assistant Professor in the Department of Supply Chain and Information Systems, Smeal College of Business. She received her Ph.D. degree in Operations Management from the Kenan-Flagler Business School, University of North Carolina. She also holds a MBA in Supply Chain Management from IIT Mumbai, India, and a B.E. in Mechanical Engineering from MS University, India. Dr. Mani’s work experience includes working with Oracle India Pvt. Ltd., Birla Management Corporation Ltd., and Marico Industries. She is also involved in consulting projects with major companies like AGCO and Office Depot, as well as with governmental organizations like UNICEF and GIDEP. Dr. Mani teaches undergraduate, masters and MBA level courses in the SC&IS department on Demand Fulfillment and Transportation and Distribution. This course covers the forecasting and inventory management activities involved in the fulfillment of demand for finished goods. This course covers the supply chain activities related to demand planning and inventory management involved in the fulfillment of demand for finished goods. This will include an introduction to the Sales and Operations Planning (S&OP) framework and the role of demand planning in this framework. The students will develop a basic understanding of forecasting and inventory models, including how to evaluate the performance of these models and manage demand and lead time variability. The course will also help students understand the implications of setting service level targets on inventory, as well as manage cost and service tradeoffs in the demand fulfillment process. Role of transportation and distribution operations in matching supply withdemand; principles of transport industry analysis and competitivepositioning. Demand fulfillment strategies, operations, and methods in supply chain networks. Analysis of demand fulfillment and the role of distribution operations management in the supply chain. Mani V., Muthulingam S., "Vidya Mani, Suresh Muthulingam, "Does Learning from Inspections Affect Environmental Performance? – Evidence from Unconventional Well Development in Pennsylvania." 2017. Mani V., Kesavan S., Swaminathan J. M., "Estimating the impact of understaffing on lost sales and profitability for retail stores." Production and Operations Management Journal, vol. 24, no. 2, 2015, pp. 201-218. Kesavan S., Mani V., "An Overview of Industry Practice and Empirical Research in Retail Workforce Management." (Springer), 2015, pp. 113-145, Invited. Kesavan S., Mani V., "The relationship between abnormal inventory growth and future earnings for U.S. public retailers." Manufacturing & Service Operations Management, vol. 15, no. 1, 2013, pp. 6-23.